Climate-saving technology? CCUS is often more about EOR than reducing emissions (Richard Masoner / Cyclelicious). 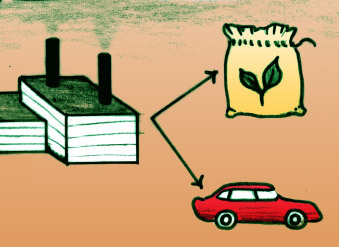 In theory, Carbon Capture Use and Stoage aims to convert captured carbon into products like fuel, fertilizer and plastic. Carbon Capture Use and Storage (CCUS) is a proposal to commodify CO2 that has been removed from the atmosphere by using it as a feedstock in manufacturing, so it becomes “stored” in manufactured goods. It is understood as an attempt to make CCS profitable and perhaps uncouple it from Enhanced Oil Recovery (See Carbon Capture and Storage (CCS) briefing for more background on this). Some CCUS scenarios are still theoretical and some technologies are being commercialized. The primary critique of CCUS is that emissions are not effectively removed or sequestered but are embedded in products or used in a way that CO2 will be re-released into the atmosphere (it will be incinerated as waste or decompose). There are also additional emissions in the production, transport and infrastructure required. This means that overall, CCUS is likely to create emissions rather than reduce them. While CCUS is an attempt to distance CCS from EOR, EOR is by far the single biggest user of captured CO2 and the most likely profitable market for it in the future. EOR is discussed in more detail in the CCS factsheet. Briefly, EOR refers to extracting otherwise unrecoverable oil reserves. CO2 is injected into aging reservoirs and can extract 30–60% more of the oil originally available in the well. Naturally-occurring CO2 is used most commonly because it is cheap and widely available, but CO2 from anthropogenic sources is becoming more common,i particularly from CCS installations in North America. Another idea is to use CO2 by processing and converting it into chemicals and fuels. This can be achieved through carboxylation reactions where the CO2 molecule is used to produce chemicals such as methane, methanol, syngas, urea and formic acid. CO2 can also be used as a feedstock to produce fuels (e.g. in the Fischer–Tropsch processiv). However, using CO2 in this way is energy intensive since it is thermodynamically highly stable: a large energy input is required to make the reactions happen. Furthermore, chemicals and fuels are stored for less than six months before they are used and the CO2 is released back into the atmosphere very quickly.v As with EOR, this is CCU, but not Storage. A company called Newlight Technologies has recently commercialized a process that captures methane from farming processes and converts it into plastic, at a factory in California.ix However, this carbon capture technology would only be effective if the plastics never degraded, or were never incinerated as waste. Can captured CO2 be stored in concrete? Not without expending large amounts of energy on transportation and processing. 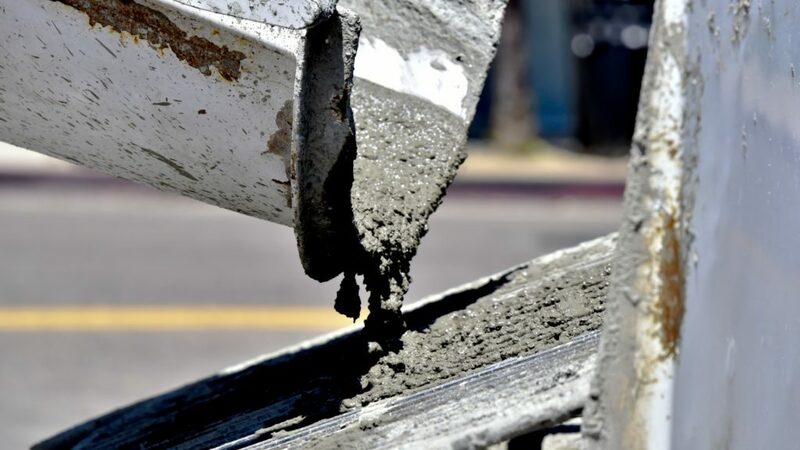 Mineral carbonation of CO2 –carbon negative concrete? Of course, as soon as the food is digested or composted, a significant amount of the carbon will be re-released. And plants are already quite good at capturing CO2 from the atmosphere, without requiring large infrastructure developments and greenhouses. All of the aforementioned technologies are being commercialized to varying extents and levels of success. With the exception of EOR, which is a well-established process, companies involved tend to be start-ups aiming to profit on the back of hype around negative emissions, in an attempt to increase the value of captured CO2.